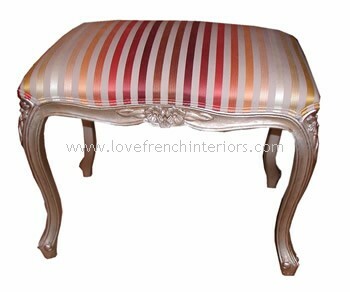 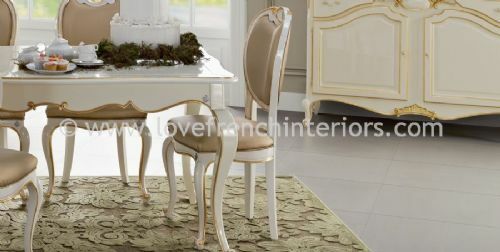 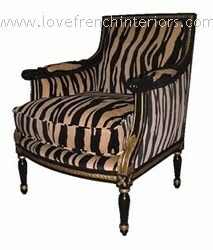 Price includes fabric and standard finishes! 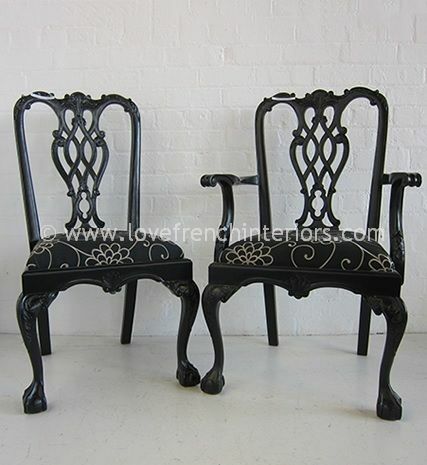 Choose a paint or polished mahogany finish! 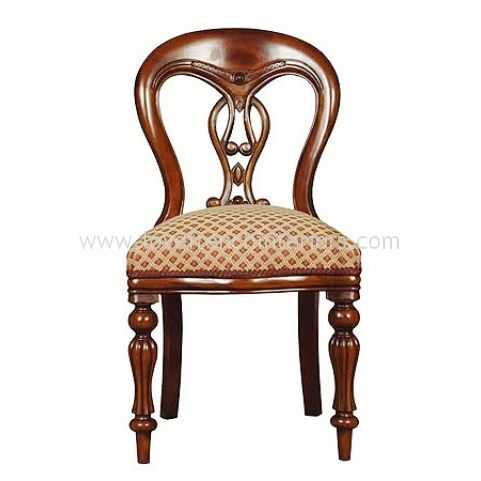 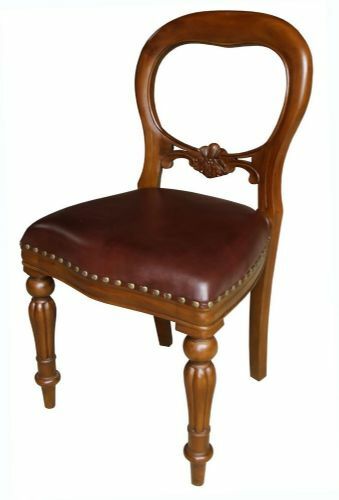 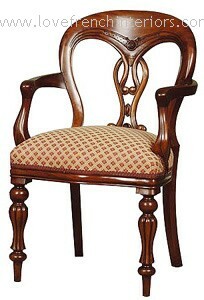 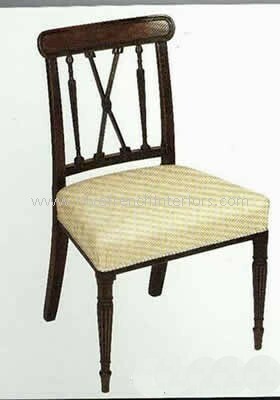 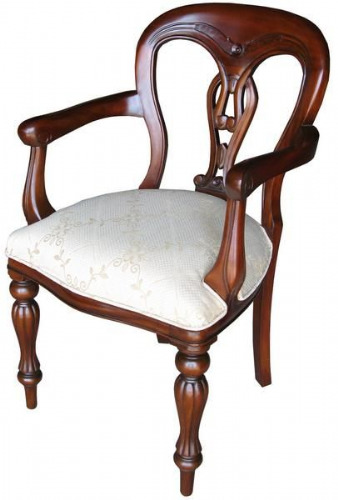 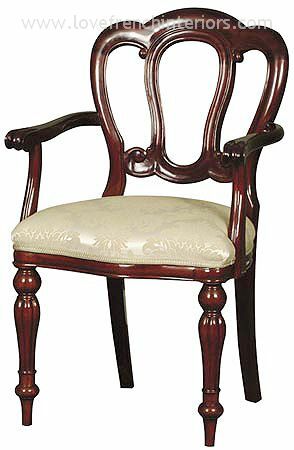 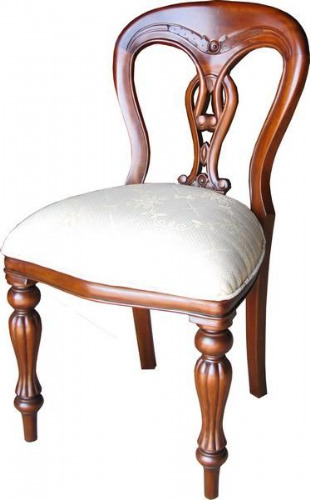 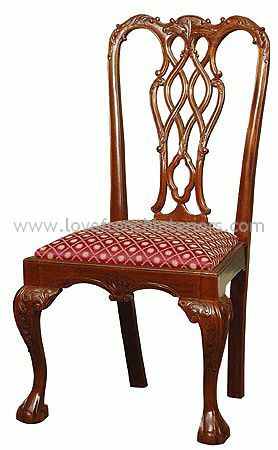 Our handcrafted mahogany dining chairs and armchairs are inspired by the ever popular Regency, French, Chippendale and Victorian styles. 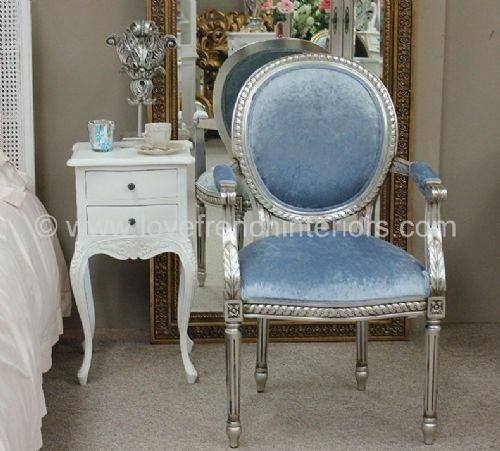 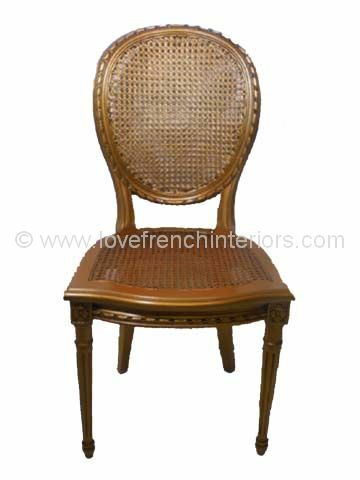 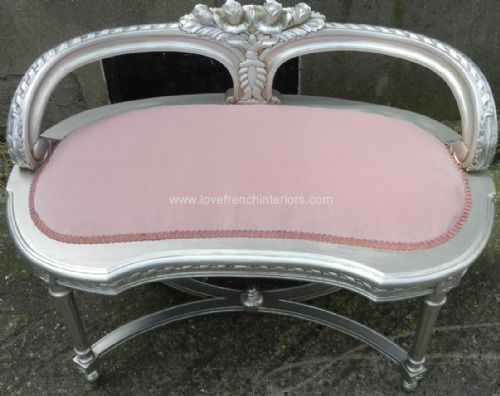 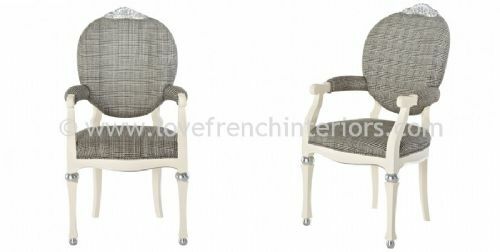 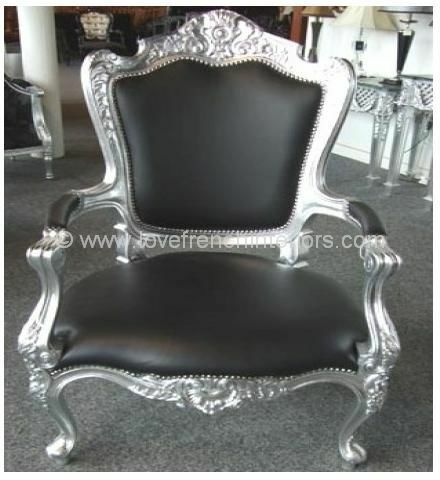 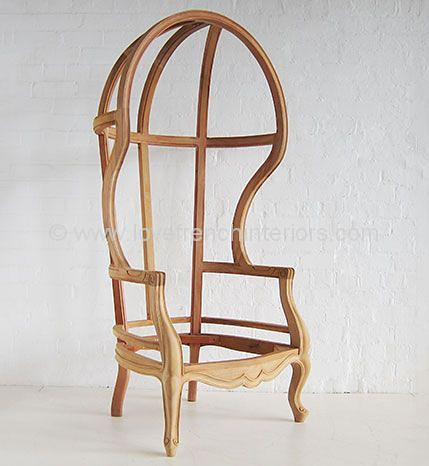 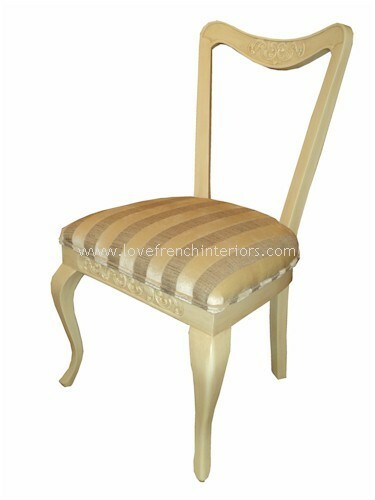 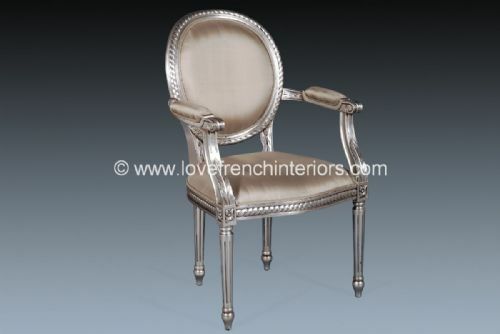 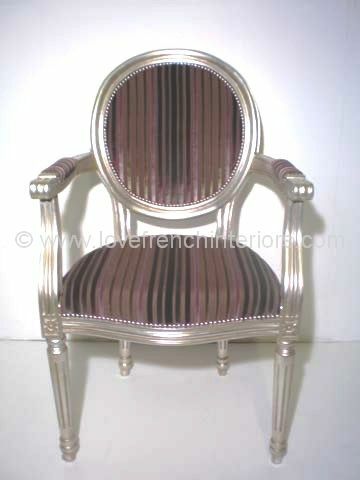 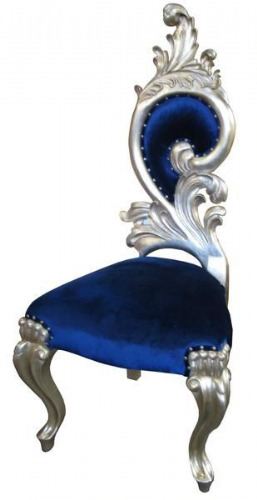 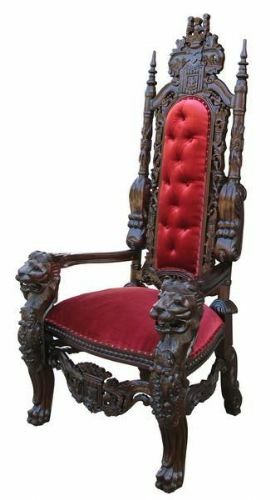 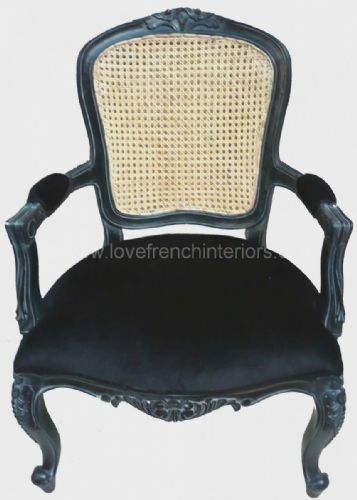 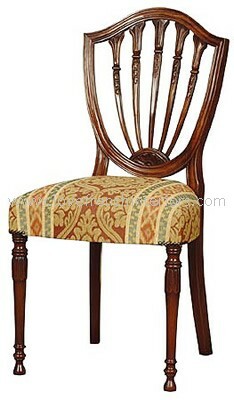 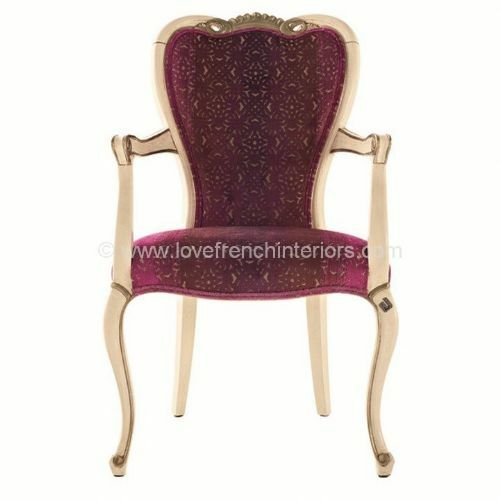 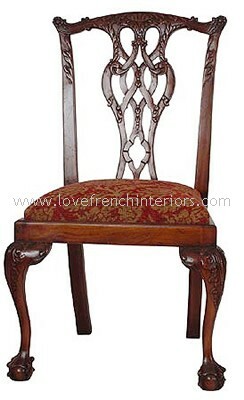 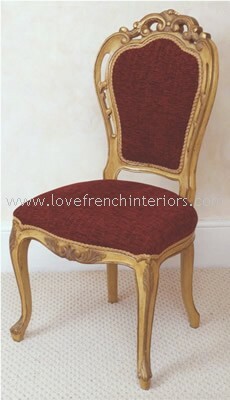 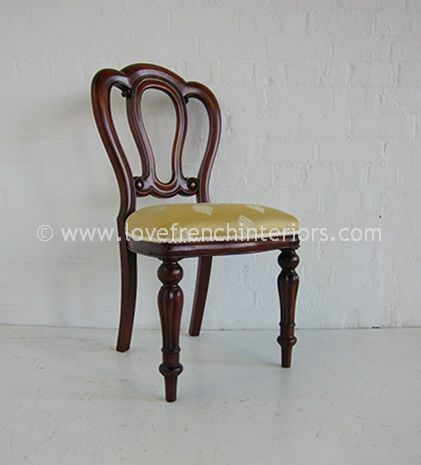 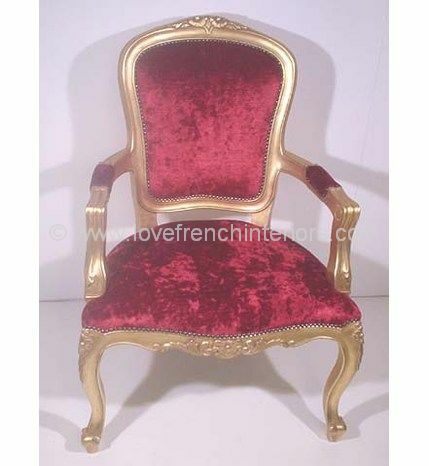 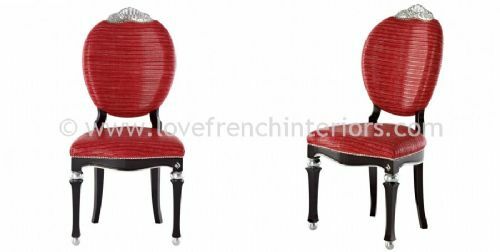 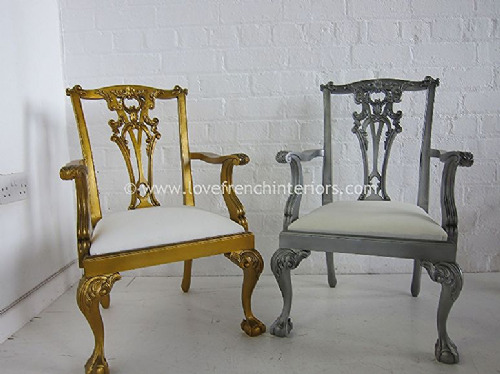 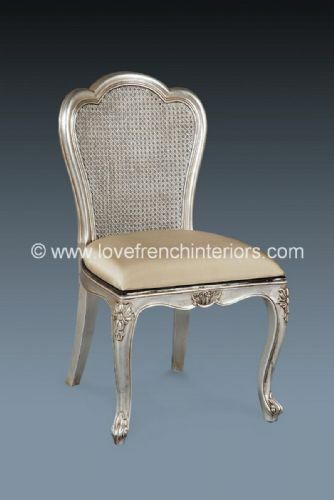 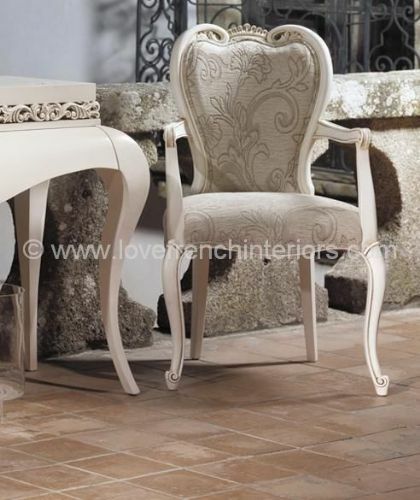 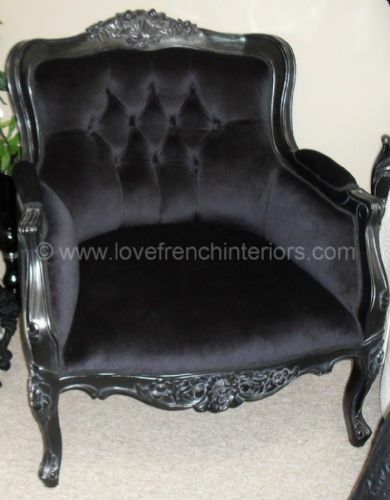 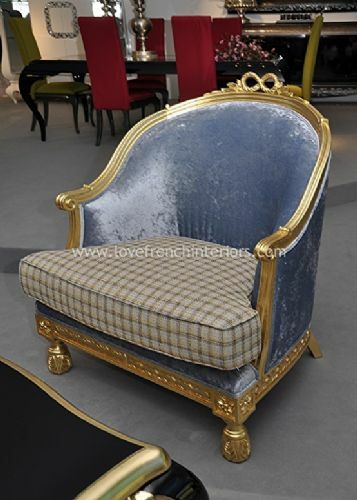 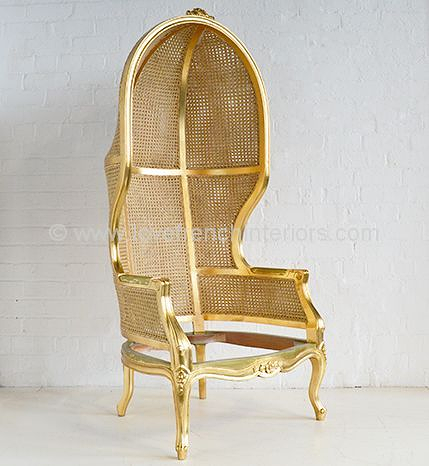 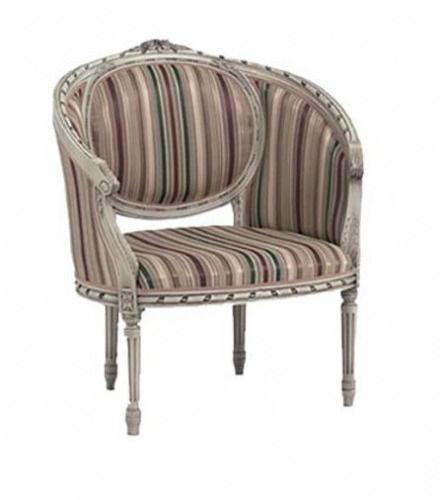 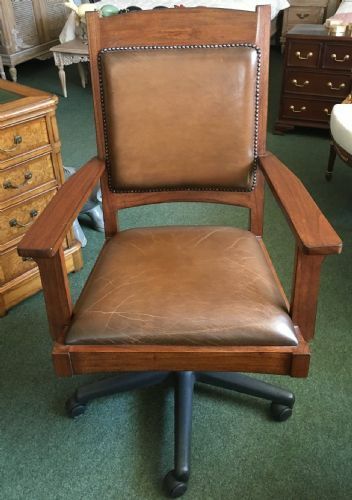 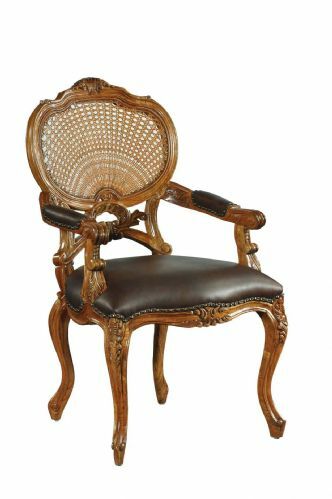 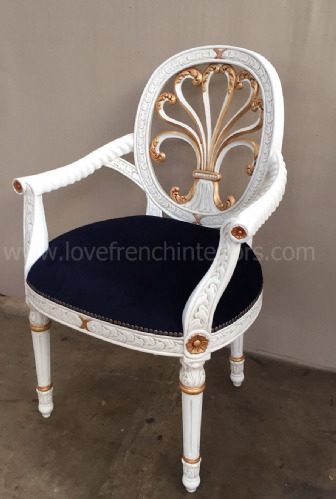 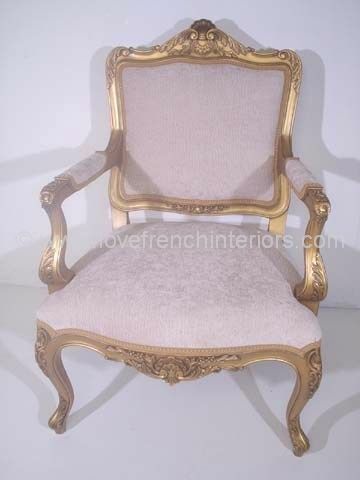 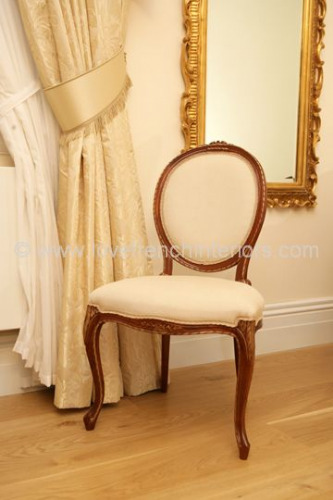 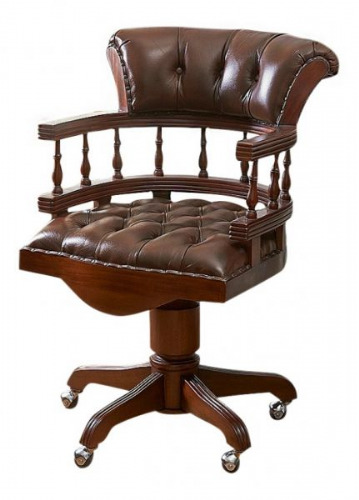 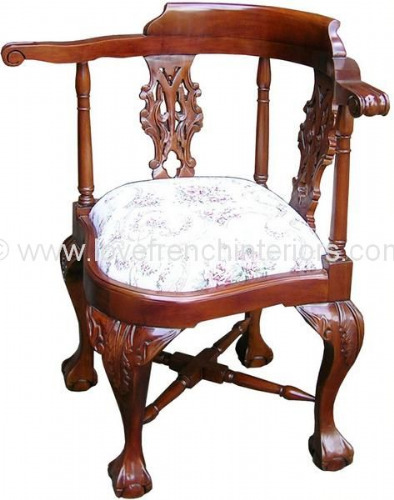 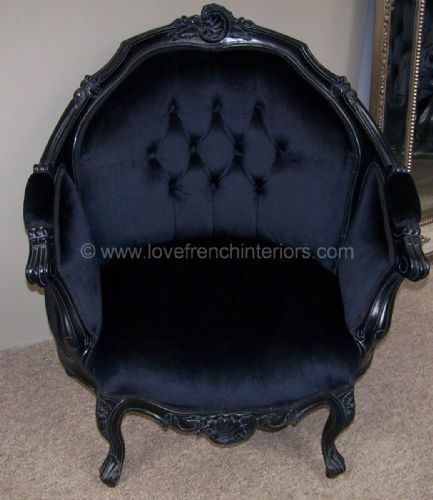 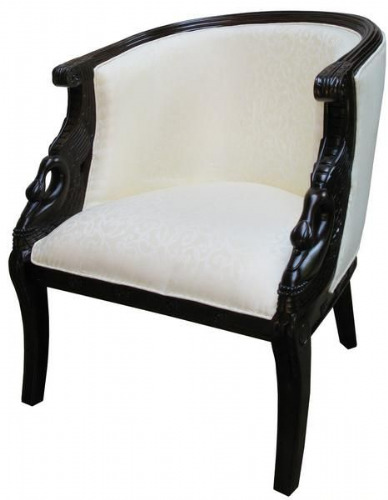 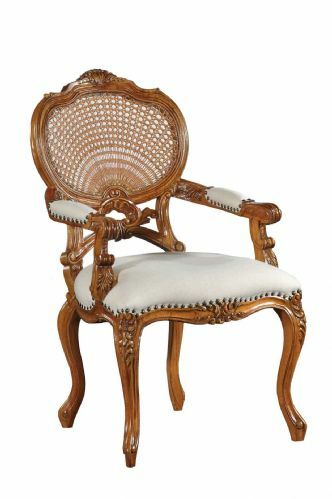 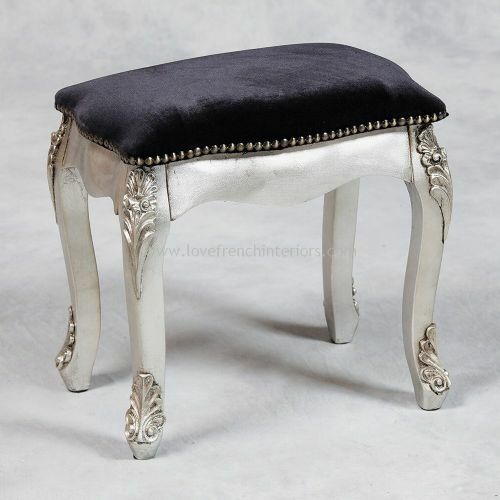 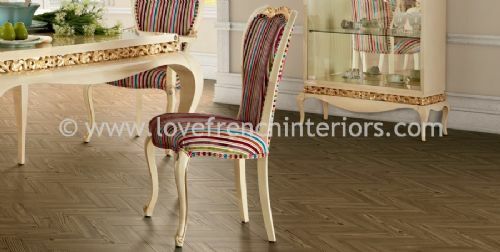 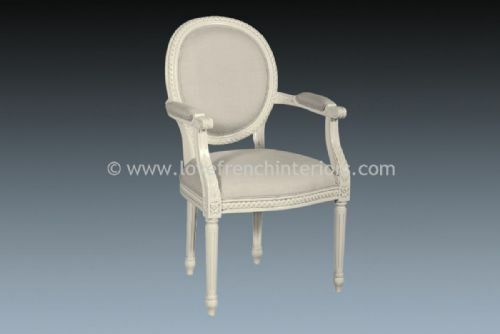 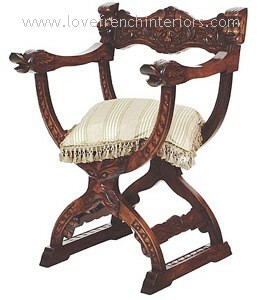 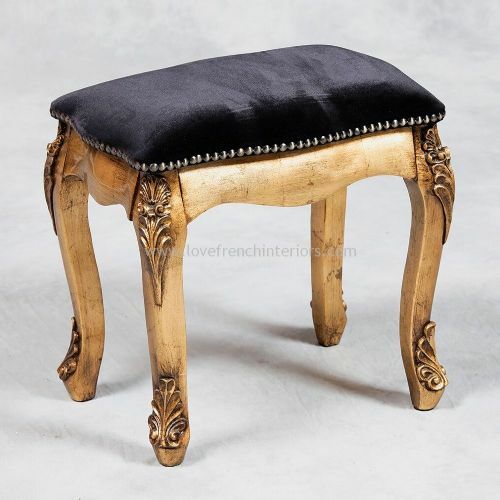 Our French and English chair collection also includes some stunning Statement chairs and extravagant Throne chairs as well as bar stools and Porter’s chairs. 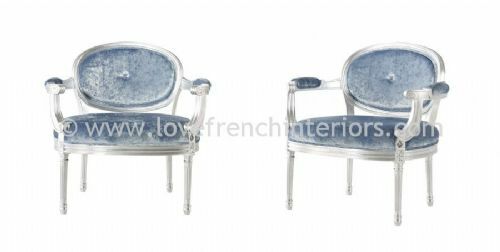 Most chairs can also be customized and we offer a wide selection of styles, finishes and fabrics to fit harmoniously with individual tastes and room sizes. 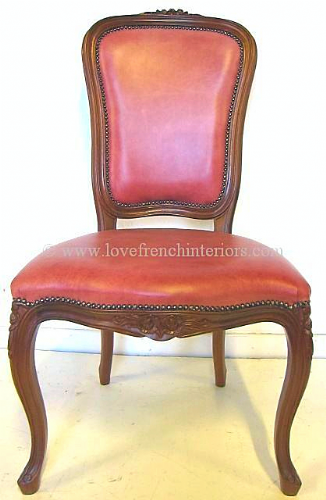 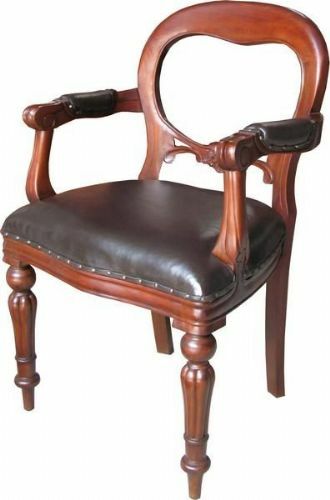 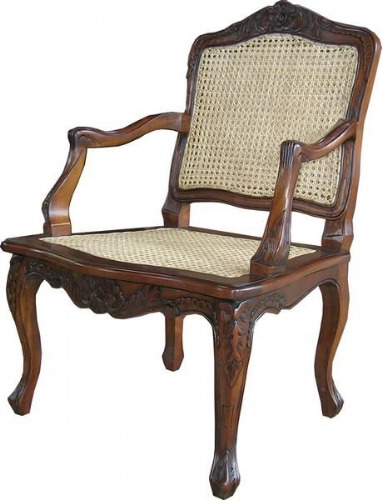 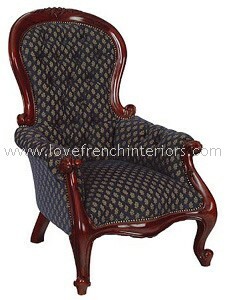 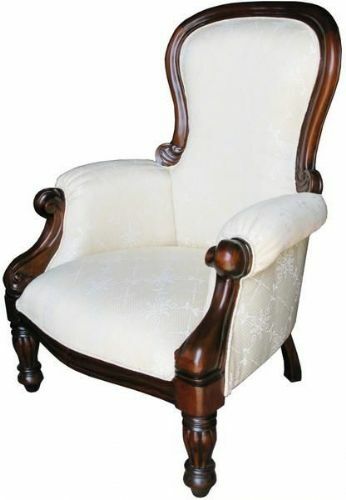 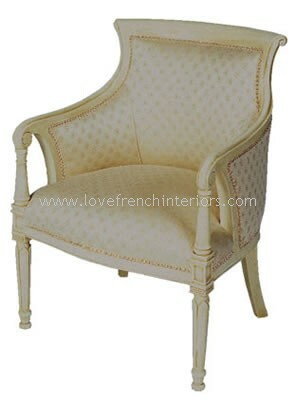 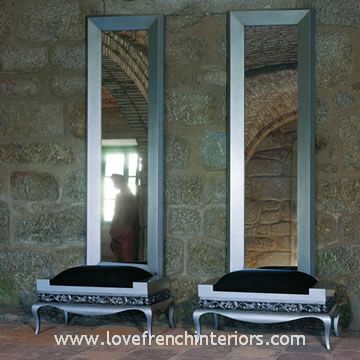 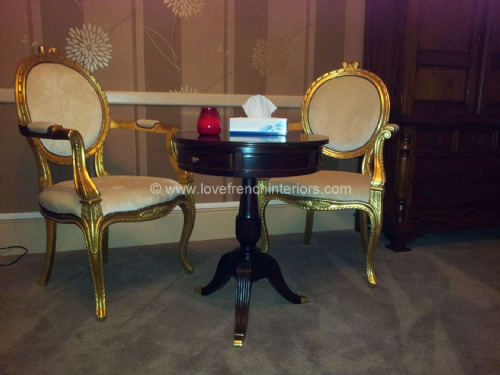 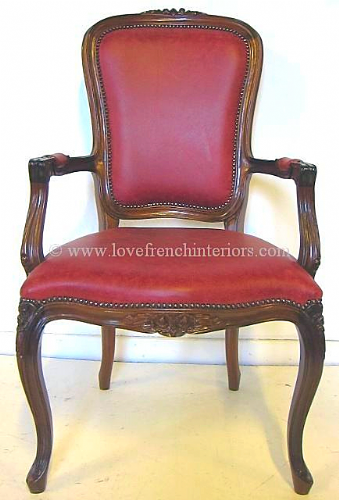 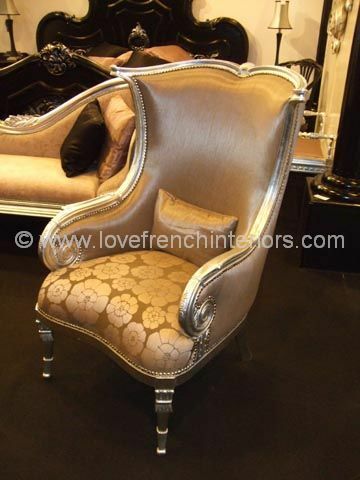 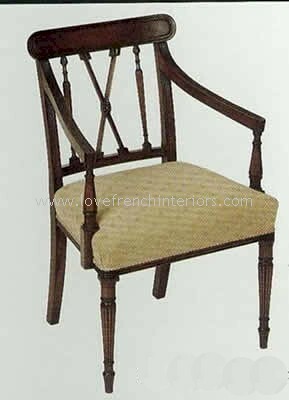 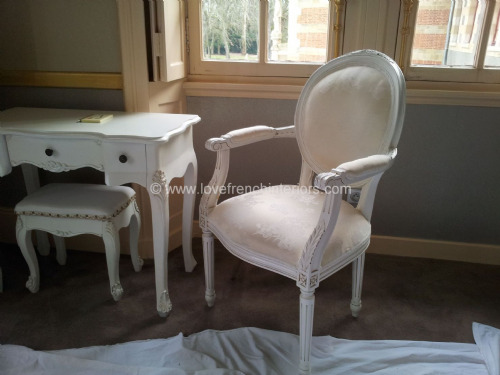 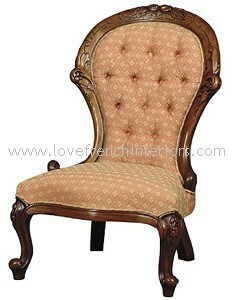 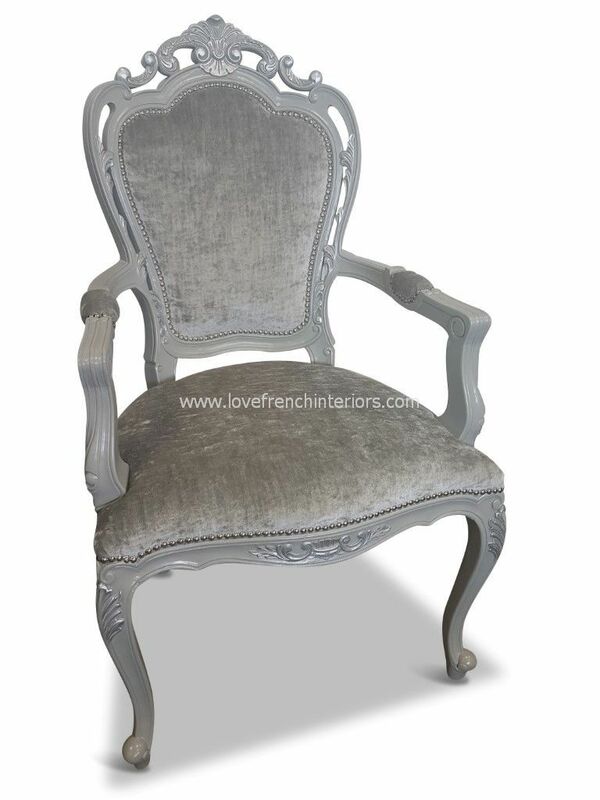 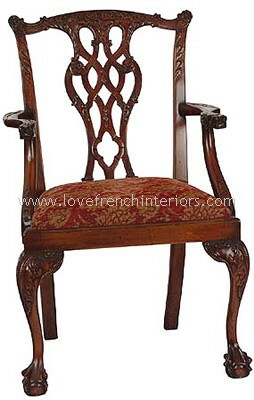 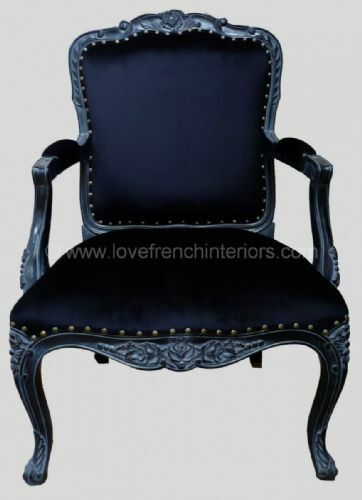 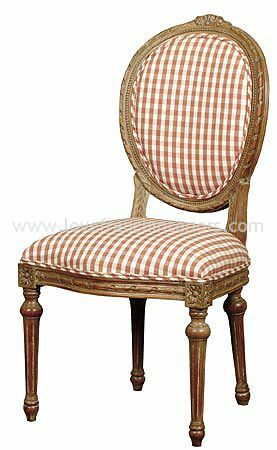 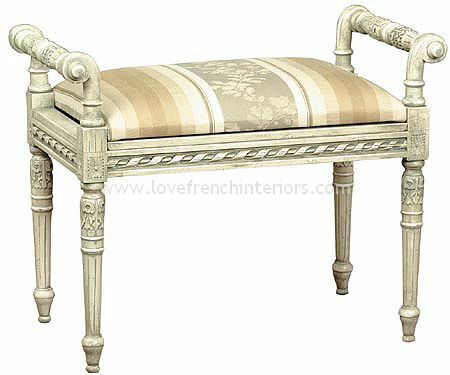 We have French and English styled reproduction chairs for the dining room, living room or bedroom, carver chairs and dining chairs which perfectly partner one of our dining tables, and luxurious armchairs, sofas and chaise longue for the living room. 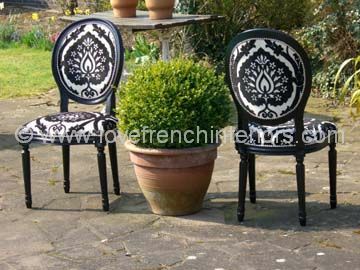 Pieces from our Bespoke French Furniture Collection can even be finished in the colour of your choice and upholstered in the fabric of your choice. 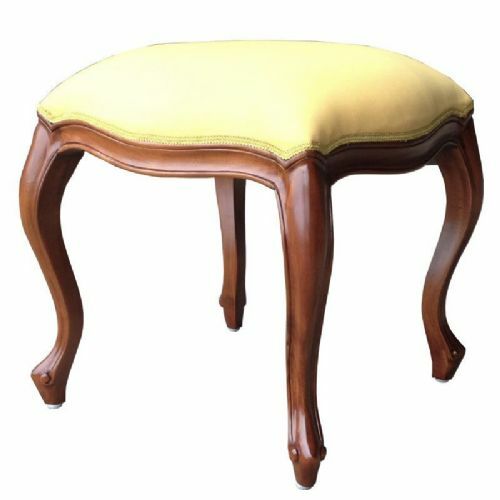 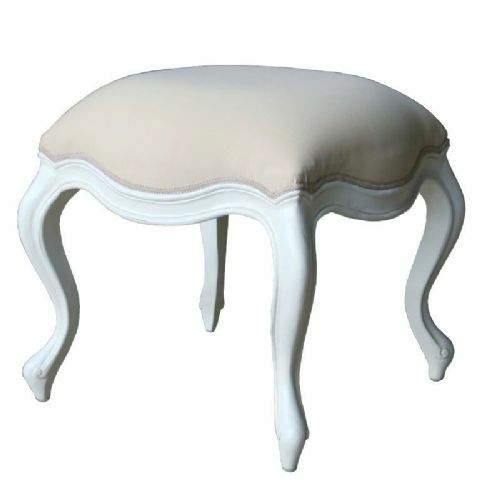 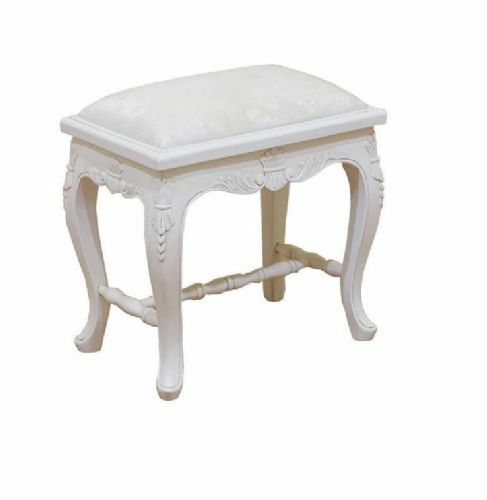 For easy viewing of all our stools grouped together just click here. 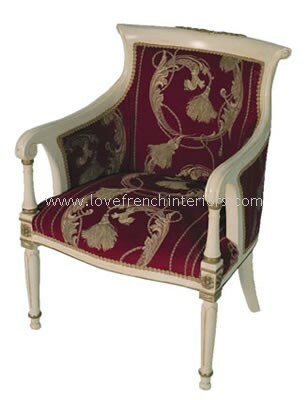 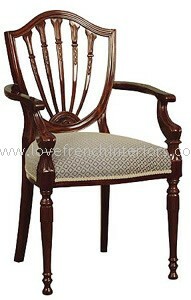 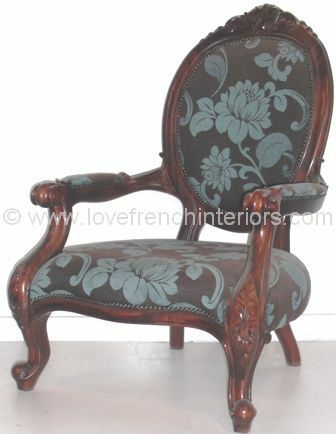 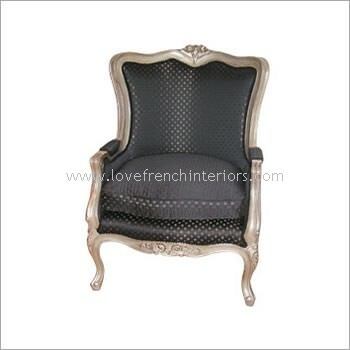 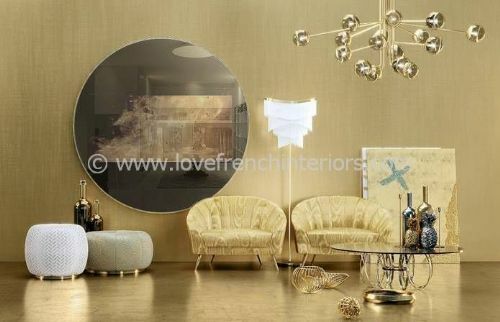 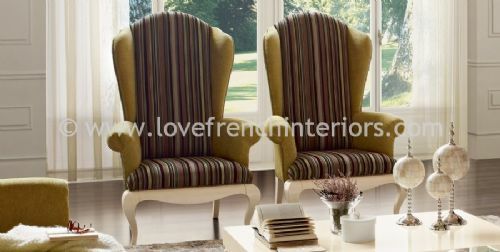 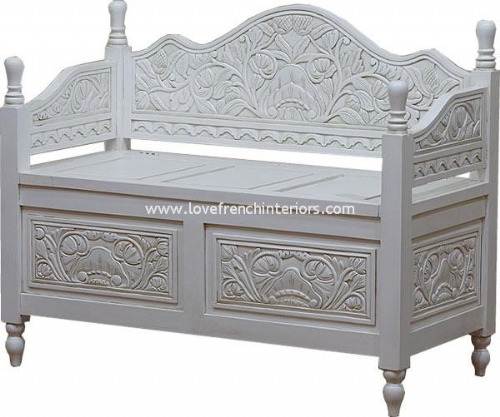 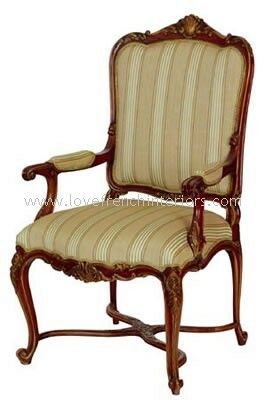 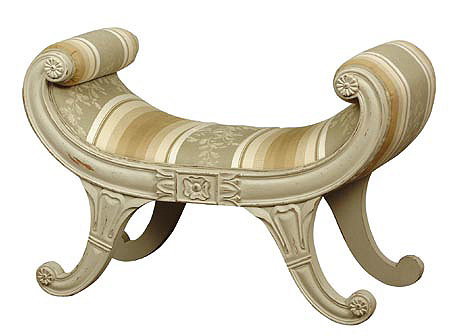 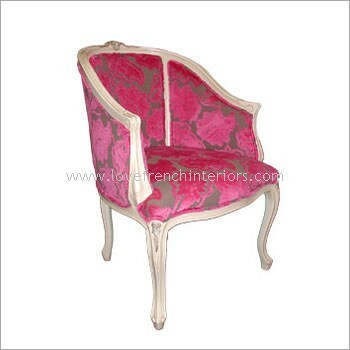 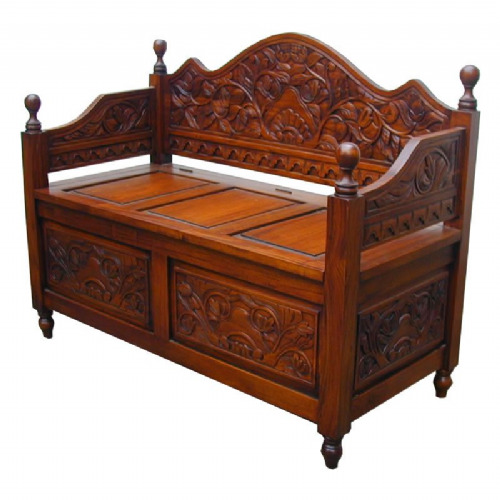 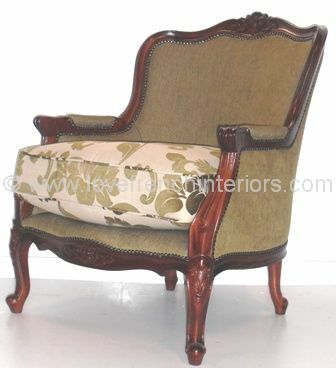 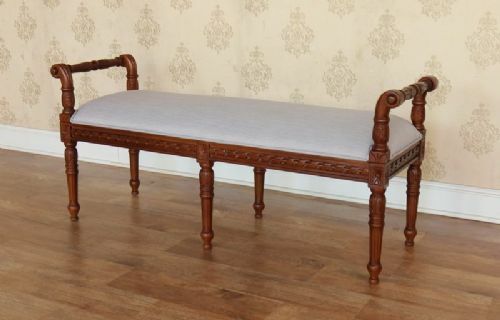 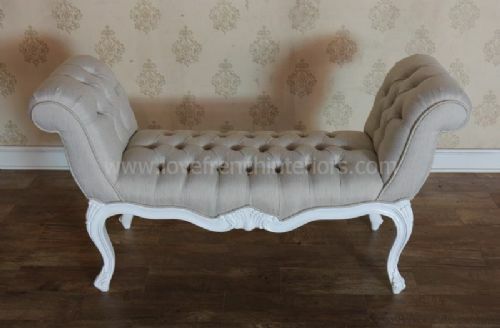 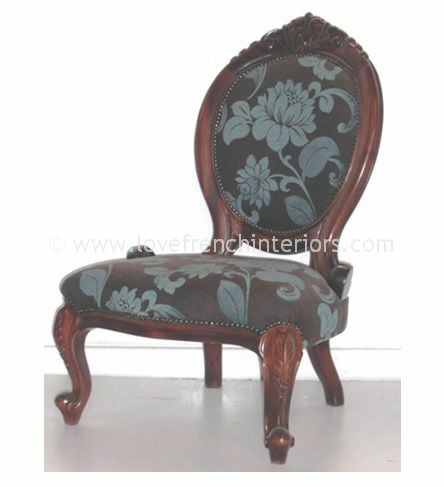 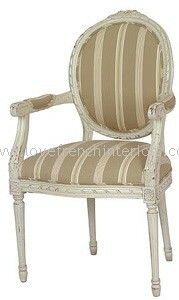 For our sofas, armchairs and chaise longues just click here.